What exactly have the US & EU been doing to Iran's Economy? What exactly have the US & EU been doing to Iran’s Economy? Iran has been targeted by a steady dose of economic and military sanctions over the past 35 years, resulting in a maze of red tape intended to compel Tehran to end its support for international terrorism, improve its human rights record, and to assuage concerns that it is seeking to develop nuclear weapons. Now, with a possible nuclear agreement with world powers on the horizon, comes the very real prospect that sanctions relief will be part of the deal. Here is a rundown of the types of sanctions imposed on Iran, who imposed them, and how easily they could be lifted. There are two ways that the United States imposes sanctions: by congressional legislation and presidential executive orders. Most sanctions involving Iran were issued by executive order. Since the 1990s, the U.S. Congress has passed sanctions on Iran to counter concerns such as nuclear proliferation, terrorism, human rights abuses, and money laundering. These sanctions have targeted everything from military sales to Iran’s energy sector to Iranian banks. The 2010 Comprehensive Iran Sanctions, Accountability, And Divestment Act (CISADA) prohibited most exports and imports to or from Iran altogether. U.S. President Jimmy Carter issued the first executive order in 1979, declaring a “national emergency” with respect to Iran and blocking Iranian government property subject to U.S. jurisdiction. Subsequent presidents — including Ronald Reagan, Bill Clinton, George W. Bush, and Barack Obama — have issued executive orders relating to sanctions against Iran. Relations between the United States and Iran deteriorated sharply in the wake of the 1979 Islamic Revolution, particularly after the Iran hostage crisis (or the “conquest of the American spy den,” as it is known in Iran). The hostage-taking of 52 Americans at the U.S. Embassy in Tehran on November 4, 1979, led U.S. President Jimmy Carter to impose what would be the first sanctions against Iran. By executive order (12170), all Iranian government assets held in the United States were frozen, as well as any assets outside the United States controlled by U.S. entities or individuals. As a result, Iran was deprived of access to more than $12 billion in holdings and property. More sanctions followed under the administration of U.S. President Ronald Reagan, including by executive order, after Tehran was implicated through its ties to the Lebanon-based militant group Hizballah in the deadly 1983 bombing of a Marine base in Beirut. Iran was added to the U.S. list of countries that support terrorism, barring U.S. foreign aid and “dual use” technologies from going to Iran. The sanctions regime expanded further in the 1990s under U.S. President Bill Clinton, who by executive order barred any U.S. role in the development of Iran’s oil industry and blocked U.S. trade and investment with Tehran. Other measures prohibited U.S. persons from assisting Tehran in weapons development and, in 1996, Congress passed the Iran and Libya Sanctions Act (later renamed the Iran Sanctions Act), which imposed sanctions on companies doing business with Tehran. In 2002, following the revelation that Iran was operating two secret nuclear facilities, the United States led a new wave of sanctions (including sanctions imposed by the United Nations and the European Union). Under President George W. Bush, the assets of a growing list of Iranian individuals and companies were frozen, and foreign companies considered to be aiding Iran’s nuclear and weapons programs were subjected to sanctions. In 2010, Congress passed the CISADA, which was signed by President Barack Obama. This act significantly tightened U.S. sanctions imposed under the Iran Sanctions Act and targeted the global supply of refined petroleum to Iran. In 2012, President Obama halted all transactions by the Central Bank of Iran in the United States and gave U.S. institutions the right to freeze Iranian assets. The U.S. president alone can rescind an executive order. When it comes to sanctions legislation passed by the U.S. Congress, the vast majority can be waived by the president. Lifting the majority of sanctions imposed under the CISADA would require the president to verify to Congress that Iran is no longer a sponsor of international terrorism and that Iran has ceased to pursue, acquire, or develop nuclear, chemical, or biological weapons and ballistic missiles. Permanently removing the sanctions legislation would require a vote by Congress. On March 19, Deputy Secretary of State Anthony Blinken said that the United States sees sanctions relief as happening incrementally. “We would insist on Iran demonstrating compliance and then certain sanctions might be at that point suspended, not ended, and after still more compliance, at some point, sanctions would actually be ended, assuming Congress agreed to end them,” Blinken said. He added that he sees a similar process at the UN of sanctions being suspended and then being eliminated. Officials within the Obama administration have indicated that they have the authority to suspend sanctions legislation in the event of an agreement, and not seek a congressional vote for years. Many members of Congress, however, want to vote on any deal before it goes into effect. A March 9 letter by Senator Tom Cotton (Republican-Arkansas) and 46 other Republican senators to Iranian leaders warned that any deal concluded without Congressional approval would be considered an “executive agreement” that could be undone by a future president. Legislation proposed by Senators Bob Corker (Republican-Tennessee) and Bob Menendez (Democrat-New Jersey) would prevent the president from lifting or suspending sanctions for 60 days while Congress reviews the agreement. While Obama has threatened to veto the bill, proponents of the legislation are optimistic they can get the 67 votes needed to override a presidential veto and block the president from implementing sanctions relief. The United Nations Security Council imposed sanctions on Iran for its nuclear program beginning in 2006, banning the import of nuclear-related materials and freezing the assets of individuals and companies related to Iranian programs. Those sanctions were added to in 2007 and 2008, imposing an arms embargo and travel restrictions on sanctioned persons. UN Security Council Resolution 1929 said that Iran could not participate in any activities related to ballistic missiles; banned all countries from providing military vehicles, aircraft, or missiles to Iran; and froze funds to Iran’s Islamic Revolutionary Guards Corps. The United Nations Security Council would have to pass a resolution to undo sanctions. According to The Wall Street Journal, in the round of talks that ended on March 20, Iran reportedly insisted that sanctions be lifted immediately after the conclusion of a deal and considered anything less to be a deal-breaker. Western negotiators, meanwhile, reportedly believed that sanctions unilaterally imposed by Washington or Brussels could be lifted, but that UN sanctions could take years or months to lift. The Reuters news agency recently reported that, amid concerns that domestic U.S. politics could hamper a possible deal with Iran, major world powers have begun talks on crafting a Security Council resolution that could make it more difficult for U.S. Congress to undermine an agreement. 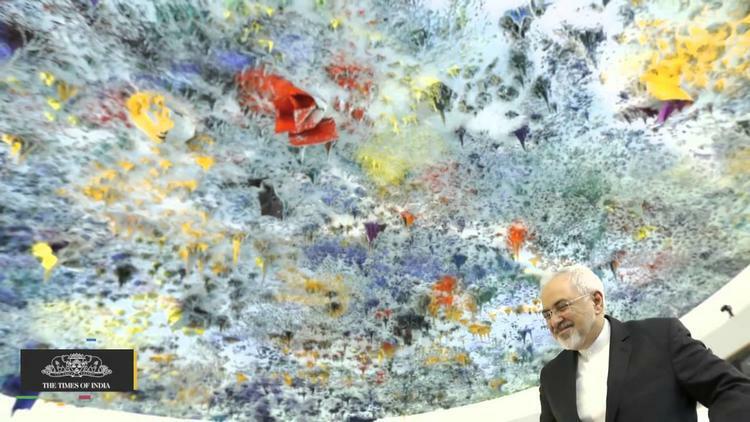 The European Union implemented the UN’s sanctions and imposed its own sanctions for Iran’s nuclear program. In 2010, the EU adopted sanctions banning investment and assistance to Iran’s energy sector. The EU tightened sanctions and imposed bans on dual-use technologies, an embargo on oil and gas, and instituted financial restrictions in 2012. The measure to lift or suspend sanctions after a deal would be proposed by Federica Mogherini, the EU High Representative for Foreign Affairs and Security Policy. The measure would be discussed by the foreign ministers of 28 member countries in the EU’s Foreign Affairs Council. While technically the vote could be taken by a majority, in practice it would have to be a unanimous decision, according to Cornelius Adebahr of the Europe Program at the Carnegie Endowment of International Peace.